Connecticut may not be the first state that comes to mind when it comes to retirement locations, but the area has a lot to offer, and is definitely worth a look. 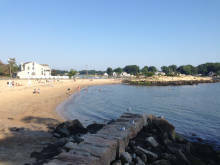 The Connecticut shoreline is dotted with quaint waterfront towns, most boasting charming downtown shops and restaurants. Many areas of the state are expensive however, with a cost of living higher than the national average, and a lack of tax friendliness. The state does have convenient access to both New York City and Boston, most areas offering adequate transportation to both. Often referred to as the Constitution State, Connecticut was influential in the development of the federal government of the United States, and because of that has its fair share of both local history and culture. The state has four seasons, so those retirees who enjoy a bit of snow will be in good company. Overall, for those who aren't opposed to a higher cost of living, retirees can discover some inviting towns in the state which are often overlooked. 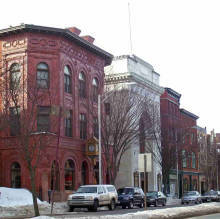 Take a look at some of the best places to retire in Connecticut below to find out more!